DAVID LE/Staff photo. 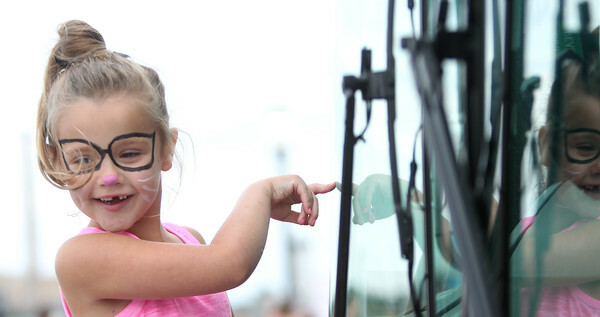 Six-year-old Leilah McQuarrie, of Beverly, excitedly points through the window of a Beverly fire truck during the annual Waterfront Party on Saturday afternoon. 9/12/15.